Time is flying by…I have no idea how it is suddenly August. 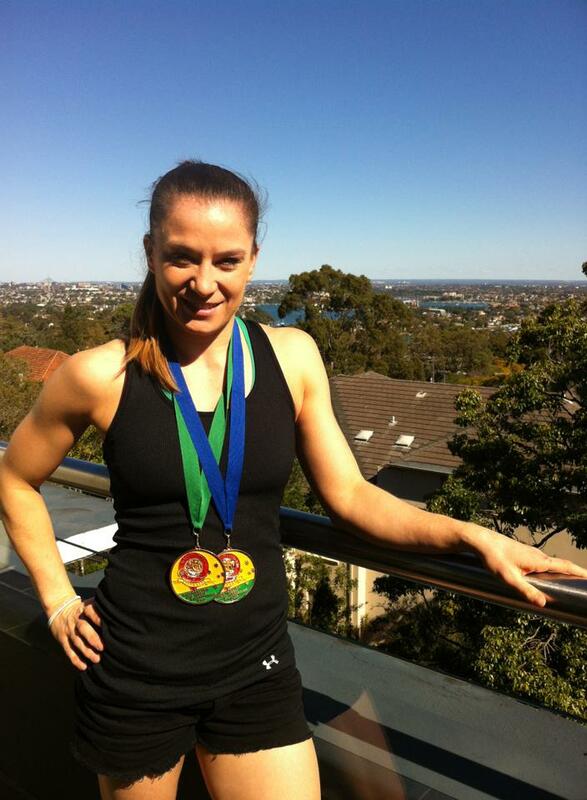 2 weeks ago, I had the pleasure of competing at the 2013 Australian Champions Cup. 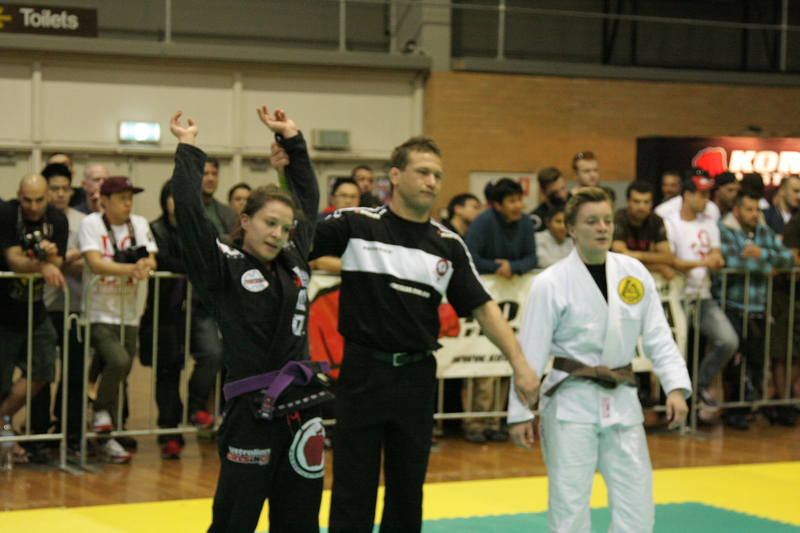 This was my first competition as a purple belt and I would never have been able to get there without my amazing sponsors – MA1 Apparel and Urban Hotels. 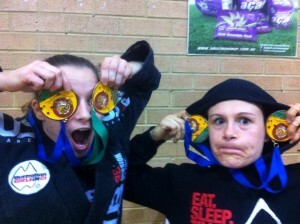 I was so excited to have my coach and my Maromba team mates and Jess with me during this comp. It is SO much easier (and fun) competing with and amongst people you know and have the coach with you all the way. Training wise, I am in a really fun, learning phase, so I wasn’t really peaking for this at all. The aim was to try out a few different things I have been working on, experience the purple belt level and make more clear, thoughtful decisions whilst fighting. Gi was up first on Saturday. I was in a purple-black feather weight division, as there was only one brown belt, Ari. Ari was kind enough to agree to fight us at purple belt rules, which was very nice of her. 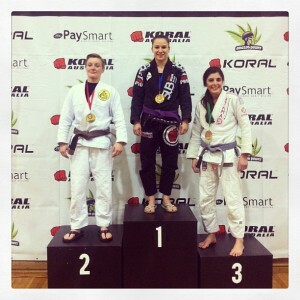 I won by first fight via triangle/arm bar and my final on points. The final was one of the most exciting and exhausting matches I have been in. I was 4 points down until about 10 seconds to go, where after a few unsuccessful passing/mount/taking the back attempts, I was unable to secure any points. I was proud of myself for not giving up, not panicking and keeping the pressure on until the timer went. Credit to Simon Carson and his Strength and Conditioning program! I also won my first open weight match on points against Bernie from WA. Bernie is a very experienced fighter and it was a pleasure fighting someone small, yet very technical, tight, determined and super strong. 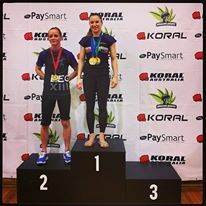 I then lost my semi final by an advantage, however I am proud of my performance. Fiona is one tough woman, who knows how to use her weight well. 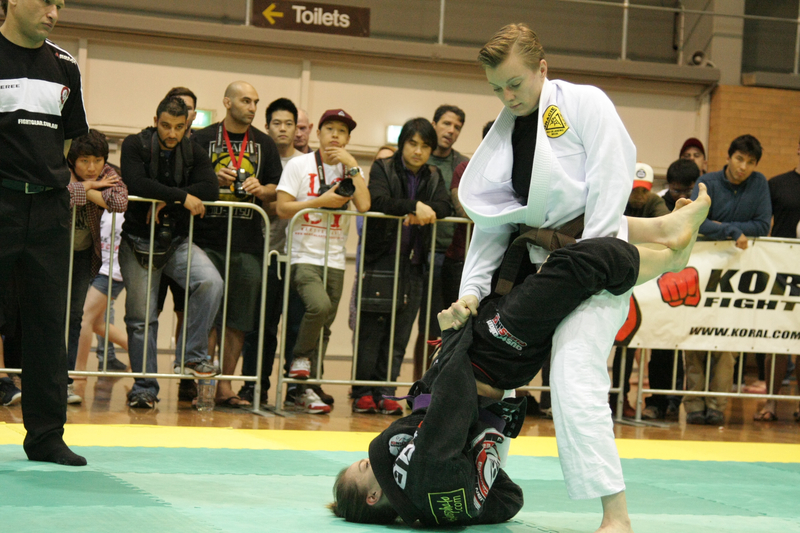 I was stoked to really open up my game and use spider guard, single x, x guard, closed and 50/50. I was unable to consolidate the sweeps, but now I know exactly what I have to work on, which is all I can ask for from a competition. 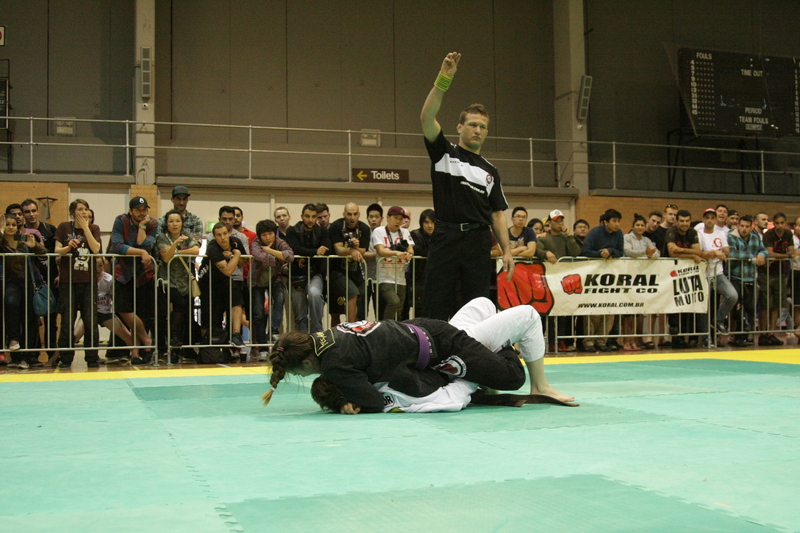 Sunday was running super late, which means we were unable to fight open weight, as we would miss our flights. 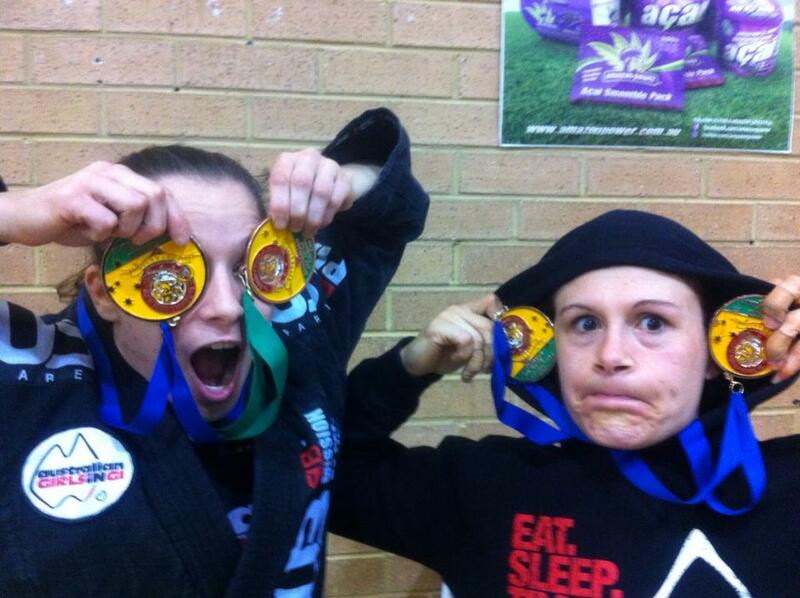 But I did have 2 tough fights at 56kg and managed to win both on points. My no gi is definitely scrappy and needs some attention, but again I got to play with some new things, which is encouraging. 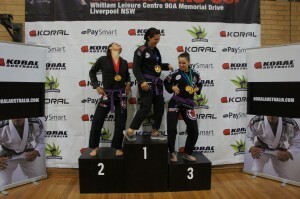 The level of the ladies in Australia is growing and I was so impressed with all the purples, blues and whites. The kids put on a great show too. Check out this highlight reel, made by Jess Fraser. 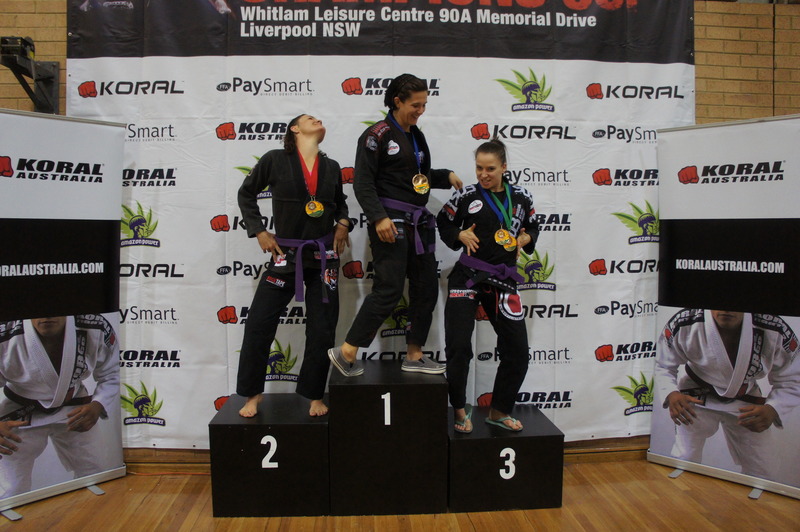 Just showcasing some (and not all) amazing purple belt ladies in Australia. Go us! In all, it was a fun weekend that I got to spend with Jess (she smashed all her fights, as usual), I got to have Thiago coach me all weekend, and catch up with many friends. 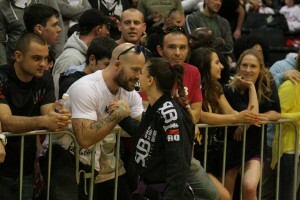 Thanks again to my sponsors MA1 Apparel, Urban Hotels, Absolute MMA & Conditioning, Z-strings and Kristen’s Photos. Photos credit to Joel Vogler Photography. Click here to check out his sight…one talented man!